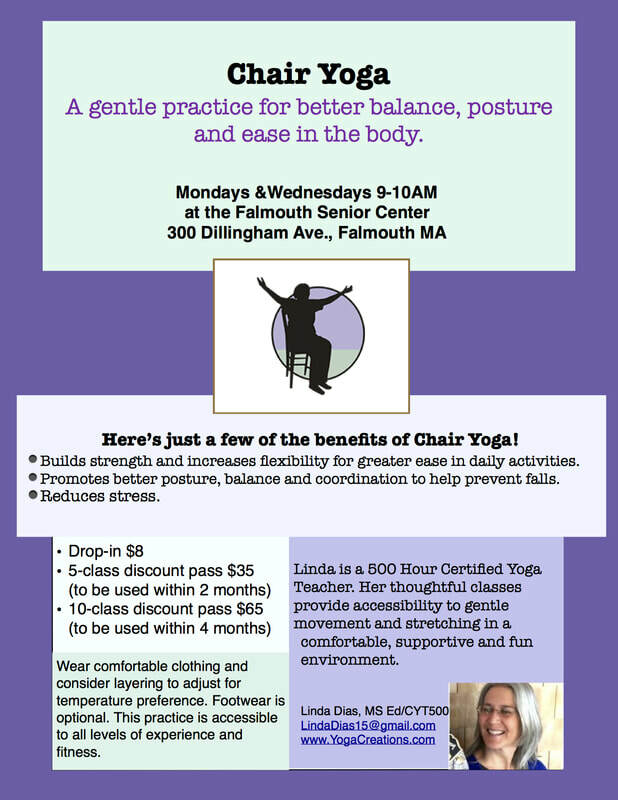 Seniors are invited to join us for Chair Yoga at the Falmouth Senior Center, Mondays and Wednesdays from 9-10am. You will practice breathing, stretching, strengthening and balance with the support of a chair. This class is appropriate for all levels. Beginners are encouraged to attend. $8 Drop-In or use your Yoga Creations Senior Center Punch Card. Individual, Duo, Semi-Private, Group Sessions - Each session is customized. Individual class multi-class discounts available. Mobile services available by appointment.Contact Linda to schedule. 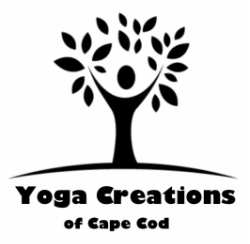 ​YOGA PARTY - Cape Cod Style! Host a YOGA PARTY in your home, office or beach! For more info visit our YOGA PARTY page! Chair Yoga: Seated or supported standing classes. Mobile services available by appointment. ​Yoga for Special Needs Populations: Individualized according to abilities. Chair Yoga- Seated or seated/supported standing classes. Mobile services available by appointment. Bring a beach towel - all ages welcome! $35 (to be used within 2 months). Duo (2 individuals): $55 ea. Semi-Private (3 individuals): $38 ea. Group (4 people): $30 ea. Contact Linda to schedule your party. A $60 deposit is required to reserve the date of your party. There is an additional charge when using a studio space or for host sites beyond a 20 mile radius of Falmouth central. The balance is due prior to the start of the Yoga Party. *For private yoga classes, please complete and email the yoga questionnaire below. All information is strictly confidential.